The wait is over and One Punch Man is back! But honestly, I’m slightly concerned about the show as a whole as MadHouse won’t be the one animating this season. Instead, J.C. Staff has taken the very heavy responsibility of bringing the beloved web manga to life which is no easy task. Within the first few seconds, it already seems that J.C. Staff is taking the more manga-like approach to the show. As seen in the conflict between random lizard guy and King. The aesthetic is nice but still feels like a cop-out as the previous season hardly used any scenes like this at all. Moving along with the art, while Saitama’s rest face isn’t the pretty egg in the carton (I don’t know why I said that and please don’t ask), proportion and coloring is key to getting the Saitama we know and love from the previous season. It might just be me being nitpicky but the screenshot is from episode 1 season 2, Saitama’s head has too sharp of a jawline which creates this half realistic and half derpy face (JUST MAKE IT ALL DERP) and it makes me uncomfortable, while the red coloration on the top is much too dark. ANYWAY, regardless I think the art and animation are decent enough to not destroy the show completely. What I will say is that I’m excited to see the rest of the cast as Sonic and Fubuki will be making a return and I hope to see more screentime for both of them! *SIDE NOTE* Sonic looks like he’s really dark because he’s currently under a bridge not because they messed up his skin tone. 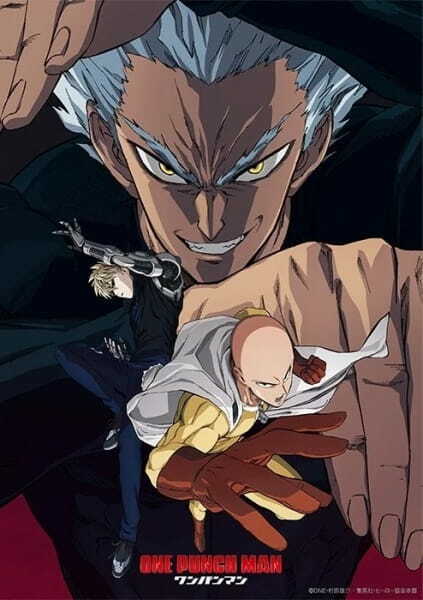 As a One Punch Man fan, you have to watch this regardless of how well or how awful this turns out. I really don’t think it’s going to be as bad as some people have been saying it will be.